Carolina Ear, Nose & Throat Sinus and Allergy Center was originally founded as Viewmont Ear, Nose & Throat by Dr. Harry. L. King in 1979. 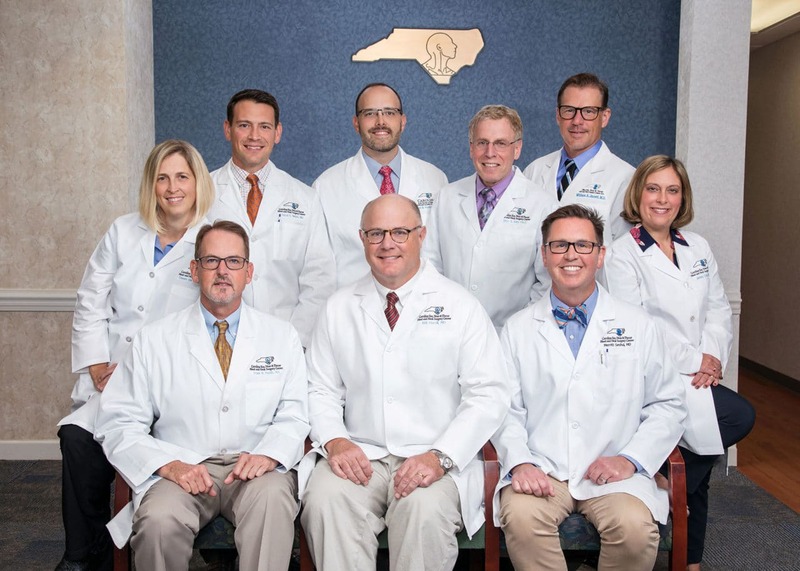 In 1998, with the addition of Dr. Harrill, the practice began a transformation to a regional provider of ENT care and became Carolina Ear, Nose & Throat. Dr. Seshul joined the practice in 2001 and led the expansion of allergy services. In 2011, Graystone Ear Nose and Throat joined Carolina Ear, Nose & Throat Sinus and Allergy Center. With the addition of Dr. Mauldin, the practice has grown to its current staff of eight physicians and one physician assistant. This has allowed us to provide more expansive and convenient patient care. Our practice includes physicians who have trained at some of the best medical schools and ENT programs in the country. The combination of physicians and health care professionals offers the best otolaryngology resources in the Catawba Valley area. Our physicians are dedicated to making this region a leader in both medical advances and health care cost containment. Our state-of-the-art facility is equipped with the latest technology available. Our sinus and allergy center offers in-office CT scanning and digital image guidance surgery of the sinus and skull base. We offer allergy testing and complete allergy care including personalized immunotherapy. Our voice and swallowing clinic offers videostroboscopy, pH probes and esophageal manometry. Our clinic supports in-office ultrasound for thyroid surveillance and neck biopsies. We are also able to offer ENG for the evaluation of balance disorders. Our involvement in teaching and clinical outcomes research have been made possible through our clinical affiliation with Wake Forest University Medical Center. Drs. Harrill and Seshul serve as Clinical Associate Professors in the Department of Otolaryngology and Marc Katz, PA serves an active role as a Clinical Instructor within the Department of Physician Assistant Studies. We are a physician owned practice with no legal affiliation with any hospital. We feel this is an advantage to our patients, as it allows us to select the best and most cost effective services, rather than being limited to certain facilities based on contractual or ownership arrangements. In spite of our size , state-of-the-art facilities and expertise, we have maintained a personal, family-like working atmosphere. We actively seek out ideas from our patients and staff on how to improve the service we provide. If you think of a suggestion or criticism, we hope you will share it with us!